Wes Anderson films make us feel like we've been transported to a very aesthetically pleasing — if slightly trippy — different world. If you've ever found yourself wishing you could escape into one of his creations like we have, then, well — here's your chance. 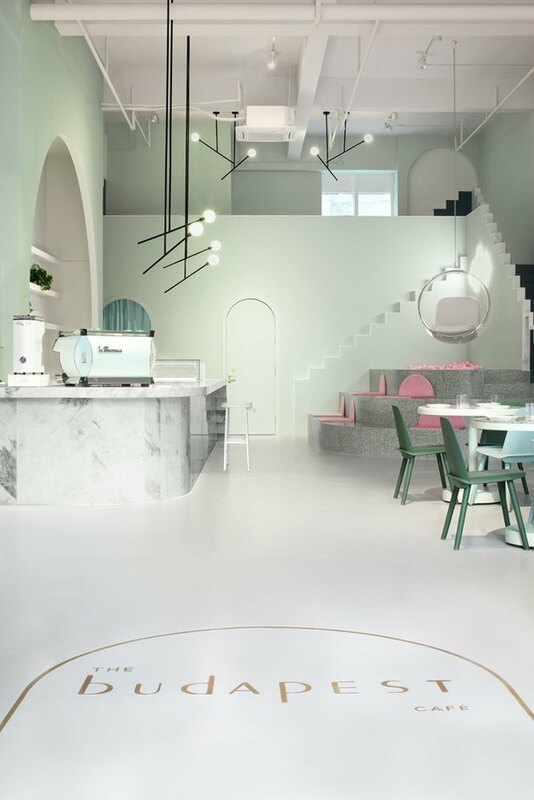 There's a whimsical, new cafe in Chengdu, China modeled after "The Grand Budapest Hotel" film in all of its pink and green glory. 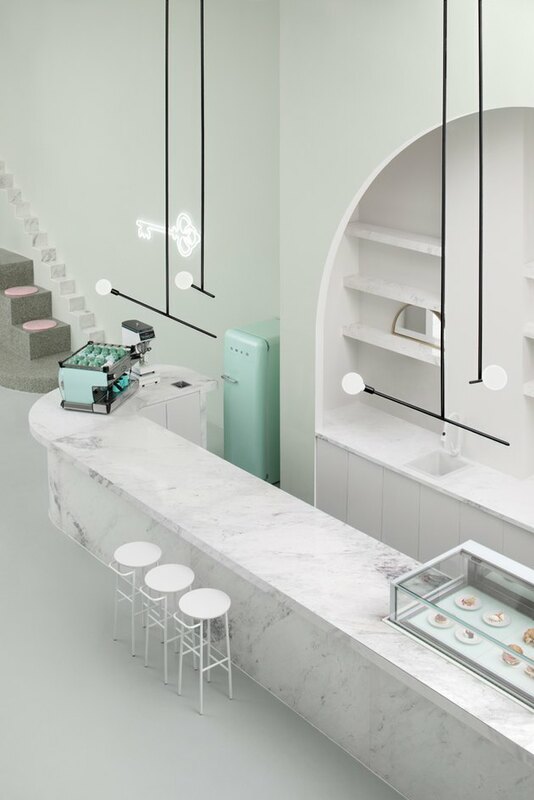 The Budapest Cafe was designed by Australian-based studio Biasol, and was practically placed on this earth to be Instagrammed. It offers a modern, minimalist take on the nostalgic designs seen in the film. The facade of the cafe projects a sense of grandeur, much like the fictional Grand Budapest Hotel, with an arch framing the entrance and gold accents. The inside of the cafe features arches, quirky stairs that lead to nowhere, and a long, marble bar. The hues of pink and green found everywhere from the walls to the seating are soft and feminine. An original Eero Aarnio Bubble chair hangs from the ceiling above a pink ball pit and steps meant for sitting. 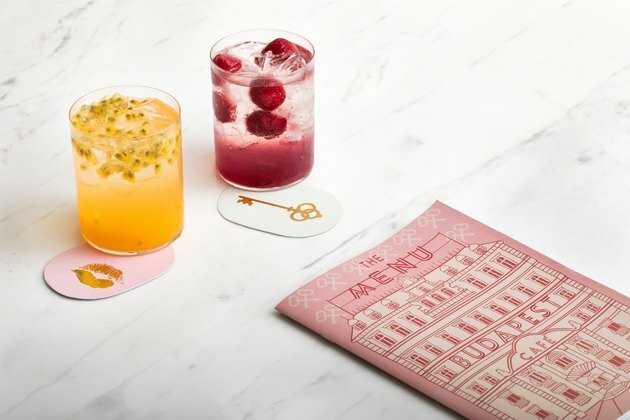 Playful neon signs are the wall decor of choice — such as this hotel key — and Hang Tall stools from Meizai line the marble bar. A mezzanine level offers a view from above of the recessed seating and shelves. 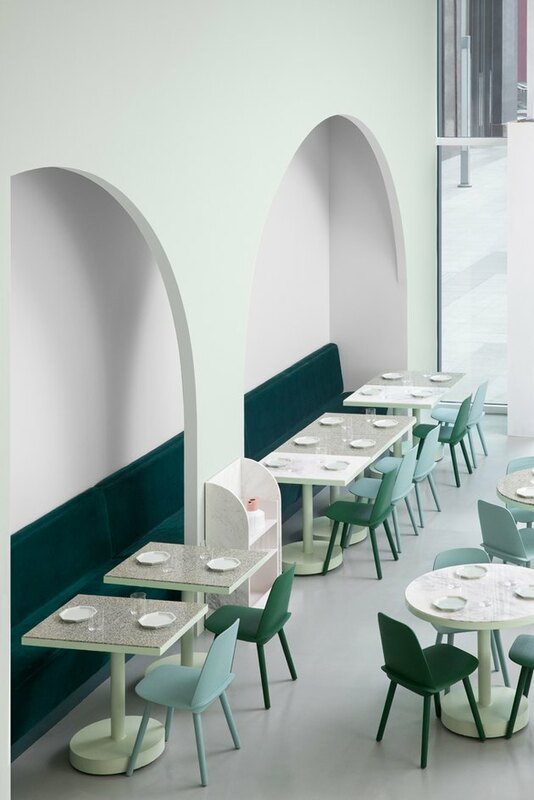 Symmetrical arches frame the tables, which are matched with Nerd chairs from Muuto. 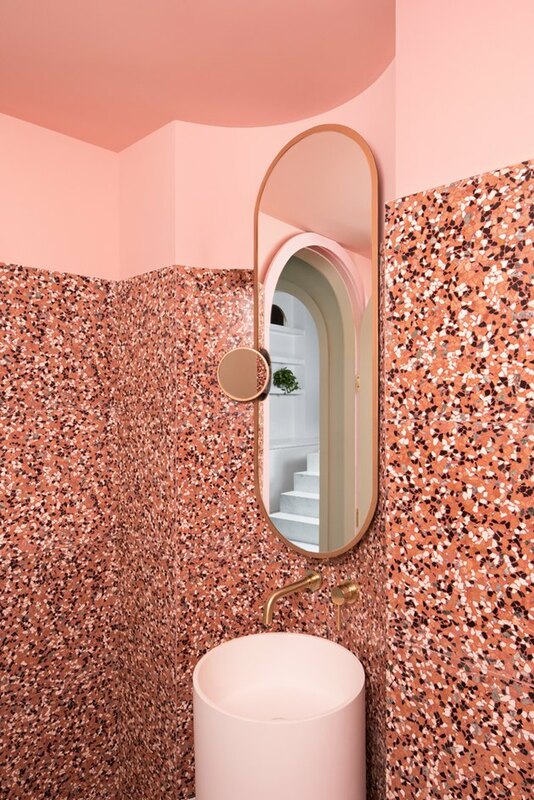 The bathrooms are absolutely decked out in speckled pink terrazzo. Soft, oval elements can be seen from the mirrors to the ceiling.